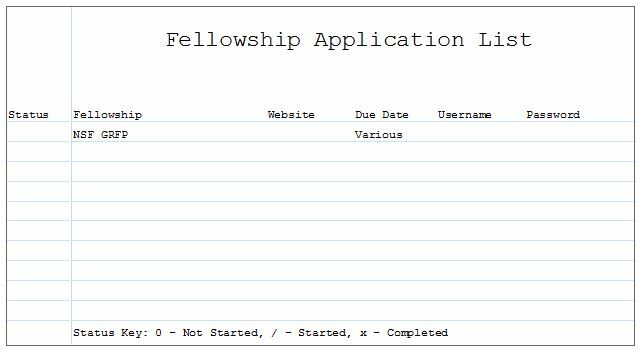 Also, for those who want a quick an easy way to organize information, check out my Fellowship Application Organizer List available for download HERE! The NDSEG Fellowships are intended for students who are at or near the beginning of their graduate study for a Ph.D. in science or engineering. Fellowships are awarded for a maximum period of three years of graduate study. Applications are encouraged from minority students, women, and those with disabilities. The first year stipend is approximately $30,500 based on a 12-month academic year. In addition, tuition and academic fees will be paid. The award can be renewed for two more years of support if the student has made satisfactory academic progress. Applicants must be citizens or nationals of the United States – proof of citizenship is required. Permanent residents are not eligible for this fellowship. The NDSEG covers graduate study in the following fields: aeronautical and astronautical engineering, biosciences, chemistry and chemical engineering, cognitive, neural and behavioral sciences, computer sciences, electrical engineering, geosciences, manufacturing and industrial engineering, materials science and engineering, mathematics, mechanical engineering, naval architecture and ocean engineering, oceanography and physics. The SMART (Science, Mathematics and Research for Transformation) Scholarship is open to U.S. citizens studying one of the allowed subjects (see website for complete list) as an undergraduate or graduate student. Applicant must have a 3.0 GPA on a 4.0 scale, be a U.S. citizen, be able to participate in summer internships with the DoD, and be willing to accept post-graduate employment with the DoD at a ratio of one year of school funding to one year of employment. The U.S. Environmental Protection Agency (EPA), as part of its Science to Achieve Results (STAR) program, is offering Graduate Fellowships for master’s and doctoral level students in environmental fields of study. Master’s level students may receive support for a maximum of two years. Doctoral students may be supported for a maximum of three years, usable over a period of five years. The fellowship program provides up to $44,000 per year of support per fellowship. Students must attend a fully accredited U.S. college or university (located in the U.S. or its territories) for their graduate studies. Applicants must also be citizens of the U.S. or its territories or possessions, or be permanent residents. The Ford Foundation seeks to increase the number of minorities who are underrepresented as faculty members in U.S. colleges and universities. Applicants must be pursuing research or teaching careers. Students may study the behavioral or social sciences, humanities, biological sciences, mathematics, physical sciences and engineering or an interdisciplinary area. Awards will not be made to those seeking professional degrees, the fine or performing arts, or education. Awards will not be made for terminal Master’s degrees. Seniors or current graduate students can apply. Predoctoral awards, which are granted to college seniors or first and second year grad students, provide an annual stipend of $24,000. Awards are for three years and can be used at any accredited nonprofit U.S. institution granting Ph.D. or Sc.D. degrees in the fields specified above.. Applicants must be U.S. citizens. Applicants from one of the following six ethnic groups are strongly encouraged to apply: Alaskan Natives (Eskimo or Aleut), Native American Indians, African Americans, Mexican Americans, Native Pacific Islanders, Puerto Ricans. Applicants must have demonstrated ability in their area of academic study. The GEM fellowship programs are designed to offer opportunities for under-represented minority students to obtain M.S. degrees in engineering and Ph.D. degrees in engineering and the natural and physical sciences through a program of paid summer internships and graduate financial assistance. Both the M.S. 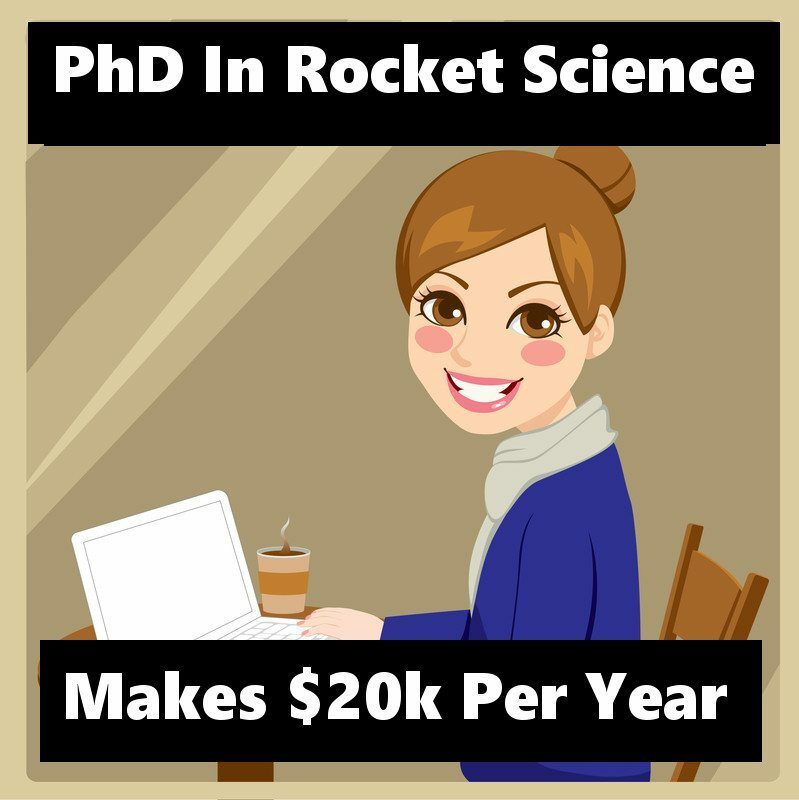 engineering fellowship and the Ph.D. fellowships pay tuition, fees, and a stipend. The stipend for the M.S. program is $16,000 over the entire Master’s program. The Ph.D. programs offer a $16,000 stipend per year plus additional stipend (assistantships, grants, other stipend dollars) support from GEM Member University to bring the stipend amount up to the funding level of other funded PhD students in that department. Both depend on academic status at time of application (i.e., junior, senior, graduate, or working professional), summer employer, and graduate school costs. Candidates for participation in these programs are selected from the following under-represented minority groups: African American, Mexican American, American Indian, Puerto Rican American, and other Hispanic Americans. The application must be a U.S. citizen at the time of application. M.S. Engineering Applicant: Must pursue the M.S. degree in the same academic major as the baccalaureate, and currently be a junior, senior, or graduate of an engineering program accredited by the Accreditation Board for Engineering and Technology (ABET). Computer science and computer engineering majors are also eligible; however, engineering technology majors are not eligible. Minimum acceptable GPA is 2.80 on a 4.00 scale. Ph.D. Engineering Applicant: Must have an M.S. degree or be currently enrolled in an M.S. engineering degree program. Support will commence upon completion of the M.S. degree. Minimum acceptable GPA is 3.00 on a 4.00 scale. Ph.D. Science Applicant: Must be a junior, senior, or graduate of a life science, mathematics, or physical science program, and enroll in a graduate program in the same discipline. Minimum acceptable GPA is 3.00 on a 4.00 scale. Requires recipient to accept 3-year Fellowship from another source, e.g., NSF or university sponsored fellowship. The fellowship supports academic versus professional graduate study, e.g., study for the Ph.D. Only those studying the physical sciences whose work will have real world applications versus the theoretical are eligible. This focus, however, may be broadly construed. The official description of the fellowship stresses applicants who are “willing to morally commit to make their skills available to the United States in time of national emergency.” Again, this should not be taken literally. Students with excellent academic credentials, who plan to study in some area of the physical sciences, should definitely consider applying for the Hertz, which offers very generous support. Fellows must attend one of the Foundation’s tenable schools, which are listed at http://www.hertzfndn.org. Any senior or graduate student is eligible to apply, although they generally do not award fellowships to students who are already beyond their first year of graduate study except in cases of “exceptional leverage.”. There is no GPA requirement. However, students should demonstrate academic excellence though their academic record. Applicants must be students of the applied physical sciences (biologists, check to see if your particular field applies on their web site), a U.S. citizen or permanent resident. The Traditional NPSC Program provides a two-phase, six-year fellowship. Initial support is for two or three years, depending on the employer/sponsor. If the student makes satisfactory progress and continues to meet the conditions of the award, support may continue for a total of up to six years. Students typically apply during their senior year. The Dissertation Support Program provides support while the graduate student conducts dissertation research. Students should apply in the year prior to the beginning of their dissertation research program, but not until they can describe their research at least in general terms. All qualified students may apply with recruitment emphasizing underrepresented minorities (African American, Hispanic, Native American Indian, Eskimo, Aleut, Pacific Islander) and women. Applicants must be U.S. citizens, have at least a 3.0 grade point average or above, and be in their first year of graduate study pursuing a doctoral degree at a participating NPSC member institution. NPSC requires that you work for an NPSC employer member for the summers preceding and following the first year of graduate school. Note: I have a whole post dedicated to the NSF GRFP with general advice about the application process. NSF Graduate Research Fellowships provide support for research based graduate study leading to doctoral degrees in the natural sciences, mathematics, computer sciences, engineering, behavioral and social sciences, and in the history or philosophy of science. Graduate study may be pursued in the U.S. only, with the exception of the NSF GROW program. Awards carry a stipend for each fellow of $34,000 for a 12-month tenure and an annual cost-of-education allowance of $12,000, paid to the Fellow’s institution in lieu of tuition and fees. Students should read the annual NSF GRFP Program Solicitation for all information on eligibility and to understand the application process and requirements of the NSF. Applicants must be U.S. citizens or nationals or those who are permanent resident of the United States at the time of application. Applicants should have an excellent academic record and have demonstrated their ability to do original research or other creative work related to their field of study. Generally, more awards are given in the physical sciences than the social sciences and the philosophy or history of science. Note that applicants find the essays to be quite difficult and require a great deal of thought and editing. Applicants must articulate clear and definite plans for their Ph.D. research and graduate study. Previous PostStudy Tips for Headache SufferersNext PostWhat’s in my backpack? – First Day of Grad School!